I have a .csv file which has Unicode characters when I want to import it to Excel, it shows some garbage instead of the Unicode characters. I googled and found some tips but did not work for me. When the file is imported I cannot see the right data. 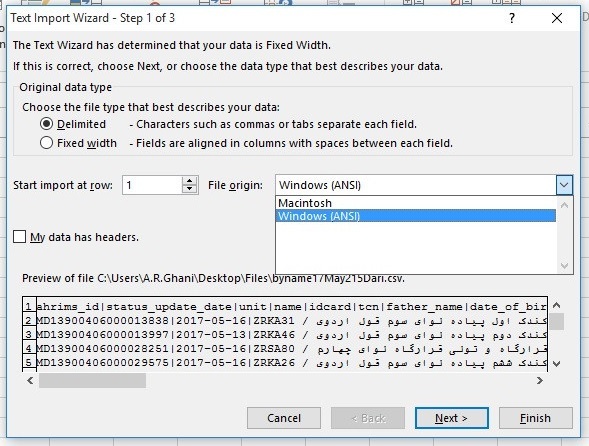 Excel shows garbage data instead. This is a known bug in Excel. Then open Excel again, and check if all encodings are listed now. Not the answer you're looking for? 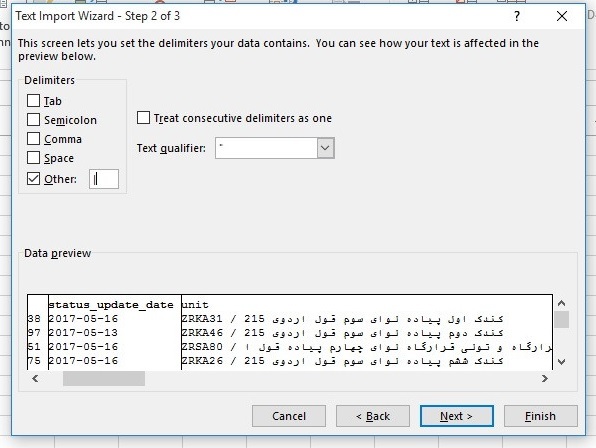 Browse other questions tagged microsoft-excel csv unicode or ask your own question.